Lake Treatment Booster Packs - Aquascape, Inc.
Aquascape® Lake Treatment Booster Packs add oxygen and elements directly to lakes and large ponds, turbo boosting the effects of water treatments. Simply toss the easy-to-use water soluble packs directly into the water. Lake Treatment Booster Packs accelerate nutrient uptake and sludge digestion while charging bacterial growth by up to ten times. The water soluble packs dose the sludge layer directly and make it easy to spot-treat or treat hard to reach areas. This specially-designed treatment is great for use in non-aerated or highly eutrophic bodies of water. 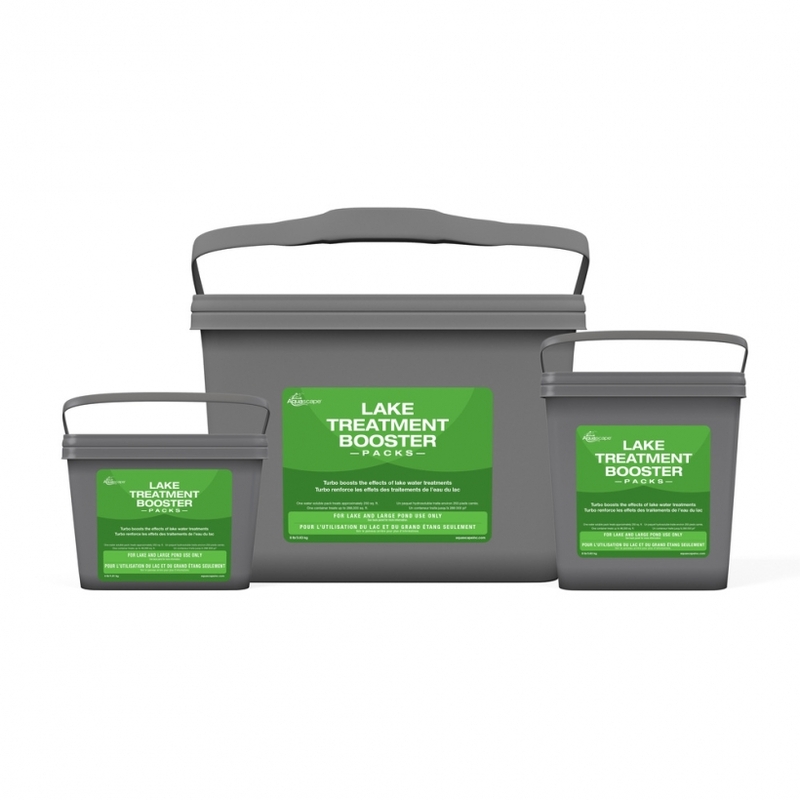 Lake Treatment Booster Packs are ideal for use with Lake Sludge Remover Packs, Lake Bacteria, and Lake Phosphate Binder Packs. This treatment is for lake and large pond use only and may cause issues in smaller enclosed systems. Safe for fish, plants, and animals when used as directed.